New developments will allow longer times to enjoy summertime treats. 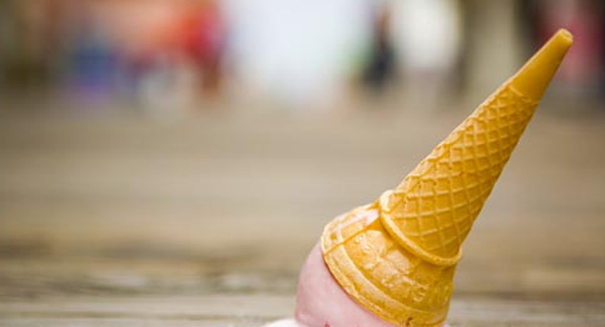 Scientists think they may have solved the problem of sticky hands and fast melting ice cream that has been plaguing children and adults alike for years. An article posted on telegraph.co.uk says British researchers have developed a more robust desert that will stay frozen for much longer periods of time in hot weather, when most people are enjoying the frozen treat. The discovery is based on a protein that is naturally occurring, and that binds the air, fat and water in ice cream together to resist melting. They also say it could keep ice crystals from forming, making the texture similar to that of luxury types of ice cream. Adding to the good news, the scientists, from the Universities of Dundee and Edinburgh, say this new development could lead to products with less saturated fat and lower calories. “We’re excited by the potential this new ingredient has for improving ice cream, both for consumers and for manufacturers,” said Professor Cait MacPhee, of the University of Edinburgh, leader of the project. The new method works by binding fat droplets and air bubbles together giving them a more stable foundation. The key ingredient is a new protein, that is naturally occurring in some foods. The researchers found a way to produce the new protein in friendly bacteria. They added the protein could be produced from sustainable raw materials without loss of performance. Another plus is that ice cream manufacturers would not have to keep their products quite as cold as before, since the new ingredient would allow for slower melting, and possibly reduce energy costs. Still, the time you have to enjoy your treat will depend upon several factors, such as the weather and the type of ice cream you have. The experts say the new ice creams could be available to consumers in three to five years.